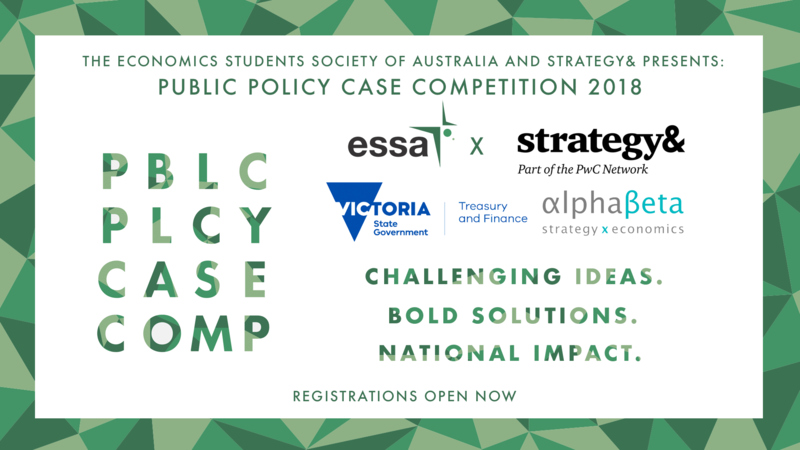 Registrations are now open until the end of case week, 27 April 2018. We look forward to seeing you at the Public Policy Case Competition. If you have any enquiries, email us at ppcc@economicstudents.com and we’ll get back to you as soon as we can. To keep up to date with the latest news and updates regarding PPCC see our Facebook event.